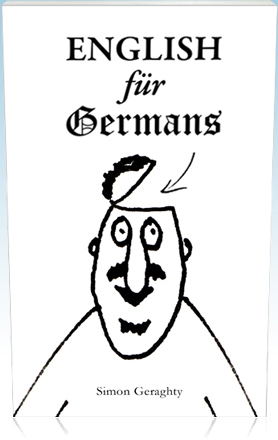 'English für Germans' by Simon Geraghty - A fun look at English, especially for Germans. The English für Germans book is an enjoyable and informative look at the English language, designed for German-speakers. It is both fun to read and helpful for improving English skills.The English für Germans book is an enjoyable and informative look at the English language. designed for German-speakers. It is both fun to read and helpful for improving English skills. The book is filled with little stories, drawings, scribbles, quizzes, jokes and tips; which means that each page brings a new surprise.